So last weekend was a whirlwind of trips to Home Depot, Loblaws, Sheridan Nurseries… and my friend Lisa’s who split her perennials and donated them to my yard. Money was spent, nails were broken but 99% of the outdoor work is done! 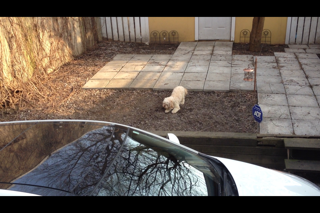 I am shocked to just how great the yard now looks and can’t wait to entertain. There are lights and a fountain in the pond. 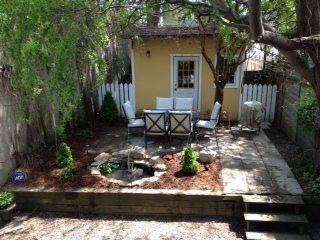 It is a backyard oasis! 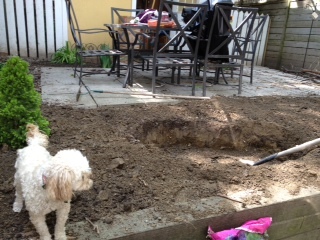 Lola thinks she is getting an in-ground pool! And here it is all done! What do you think?